Is your existing mortgage up for renewal? If so, this is one of the most critical decisions you may have to make apart from buying your house. It can also be a very bewildering time for a homeowner. This is not a decision your present mortgage company or bank should be pressuring you to make. At VERICO Designer Mortgages Inc. will work with you to effectively choose what best suits you. Being able to comfortably maintain your home is what we strive to accomplish, if you are not happy then I’m not happy. Before you sign that renewal – I will compare what your existing lender is offering you, and I will explore other lenders to provide you with the lowest possible rate you qualify for. Being a reputable brokerage has its advantages, this gives us preferred access to many of Ontario’s best renewal rates. Switching with my help could possibly save you thousands of dollars yearly! Are you currently in a Mortgage that you feel you are paying just too much for? Like most homeowners, it is important to keep as much of your money in your wallet. You may not be aware of the drastic change in current mortgage rates. 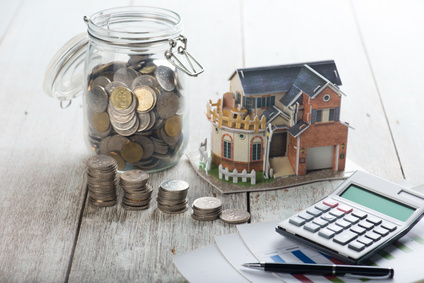 If you are in a situation where you are paying too much on your existing mortgage rates, it may be worth your while to switch your current mortgage lender to one that is able to offer you a better deal. Switching your current mortgage is not as complicated as you may think…in fact you may qualify for a current promotion offered by some lenders as an incentive for switching today. Let me show you how easy this process is, and the options available to you. Sometimes what makes the most sense is staying with your existing lender, because they may ultimately offer you the best terms for your mortgage renewal. However, using me as your mortgage agent to help you with that process may give you some benefits, as I may be able to negotiate even better mortgage terms for you. You save time and hassle dealing with your lender at no cost to you! This means switching your mortgage, at the current balance to a different lender. Your mortgage balance would be the same, but I may be able to negotiate a better rate, or better terms, such as pre-payment privileges etc. To be able to do this successfully, you need to qualify under the new B-20 guidelines, and I am here to help you with that.